Live! On Dec. 17 on Fox at 7 p.m.
Visit fox.com for more information. While other Central Coast kids are busy dreaming up their Christmas wish lists, Sacha Carlson is still glowing from a gift he got months ago. Just two days before his 14th birthday back in October, San Luis Obispo-based Carlson got his big break as an actor: the role of bully Scut Farkus in Fox's A Christmas Story Live!, the musical version of the classic holiday tale about Ralphie Parker yearning for a Red Ryder BB gun. CRY FOR ME San Luis Obispo teen Sacha Carlson plays the formidable bully Scut Farkus in Fox's upcoming A Christmas Story Live! "That was by far the best birthday present I've ever gotten," Carlson said. "I was so happy." Carlson will appear live on TV Dec. 17 alongside stars like Matthew Broderick (Ferris Bueller's Day Off) as older Ralphie, Maya Rudolph (Bridesmaids) as Mother Parker, and Chris Diamantopoulos (Silicon Valley) as Old Man Parker. The cast is filled out by side characters like Miss Shields being portrayed by Jane Krakowski (30 Rock) and Ken Jeong (Community) stepping in to play a salesman and restaurant owner. Needless to say, Carlson is watching and learning as he works alongside these acting heavyweights. "All those guys are my heroes," Carlson said of his co-stars. "And I look up to them so much, and to be working with them is a dream come true. They're all kind and genuine." The teen actor got his start in the biz when he was just 8 years old and auditioned for and got the part of young Tarzan (with the help of vocal coach Danielle Dutro) in the musical Tarzan put on by Kelrik productions in SLO in 2012. That same year Carlson appeared in SLO Little Theatre's (now SLO Repertory Theatre's) production of The Sound of Music, and PCPA's rendition of Mary Poppins. HAPPY HOLIDAYS A Christmas Story Live! 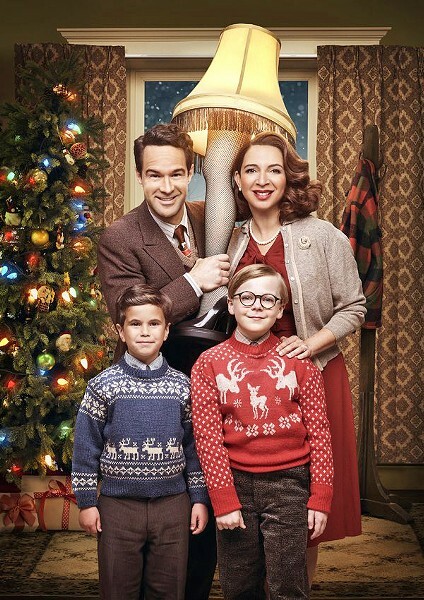 is the musical version of the beloved holiday story, featuring stars like Chris Diamantopoulos (Silicon Valley) and Maya Rudolph (Bridesmaids) along with newer talent like Tyler Wladis as Randy and Andie Walken as Ralphie. "After that play I fell in love with acting," Carlson said of his breakout performance in Tarzan. From there Carlson became involved with workshops at Actor's Edge (with classes in SLO and Ventura) and started going out on auditions in Los Angeles. "I'm so happy for Sacha that his hard work is paying off," Aaron Metchik, head instructor at Actor's Edge, said in press materials. "From the first time I worked with him I knew Sacha was special. He's very natural in his acting, and he's multitalented." Carlson has also been in a short film made through Chapman University (The Lost Captain) and took part in a Nickelodeon improv workshop at the Groundlings Theater in Los Angeles. 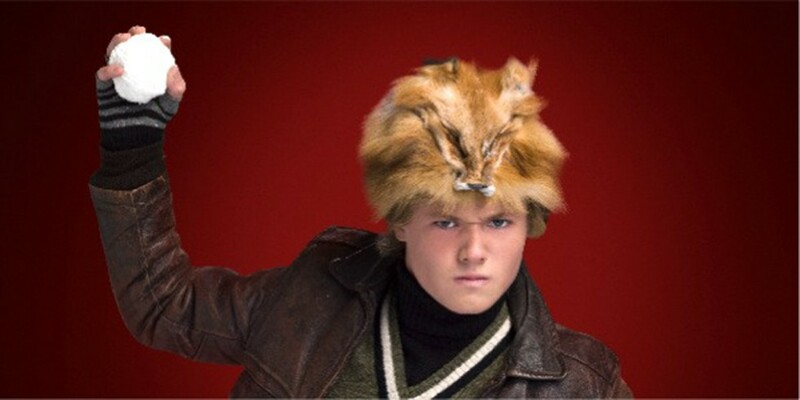 The role of Scut Farkus is his biggest to date, and Carlson doesn't shy away from playing the bad guy. "In any acting setting, it's always really fun to be the villain," Carlson said. "Toward the end of the story all the kids realize he's [Farkus] not as tough as he seems to be." The role of Scut Farkus means more to Carlson than just being on TV. The teen grew up watching A Christmas Story with his family at his grandparents' house every year after opening presents and enjoying a holiday meal together. He can still remember a time when wanting the perfect Christmas present to come through seemed like life or death. Arts Editor Ryah Cooley is down with eating Chinese food for Christmas dinner at rcooley@newtimesslo.com.